Are We In The Middle of Operation Northwood II? We've watched over the past few years, event after event almost on schedule. It's June 20, 2012, a weird shooting is about to take place at Century movie theater in Aurora Colorado. Witness testimonies are about to be ignored. Visual evidence of two (not one) gas masks on the floor, eyewitness testimonies telling of multiple shooters and an individual seen waving in the shooter(s) all are about to be ignored. It appears this particular shooting may have marked the start of an operation wildly resembling Operation Northwood. A series of events including shootings, bombings and crimes all designed to place the blame (falsely) on an enemy of choice... or in this case, all designed to get a desired agenda pushed forward on the American people. This single shooting incident seemed to have marked the beginning of a spree of bizarre, suspicious, staged shootings throughout America all marked by extreme media censorship, government and police overreaching in their control of the information by threatening ordinary citizens to stay away from contribution to the narrative, crisis actors, fake family members with fake or no tears, quick conclusions of evidence without production of evidence, allegations of "conspiracies", missing and odd behaving accused suspects appearing like their under mind control, missing ambulances, missing bodies, fake blood etc. 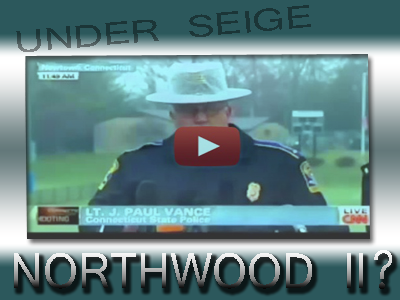 To compare the series of bizarre staged shootings that have plagued America since at least 2012 to Operation Northwood let's examine Operation Northwood itself a little closer. ; for boats carrying refugees fleeing Cuba to be sunk on the high seas (consider MH17 false flag shooting); for a wave of violent terrorism to be launched in Washington, D.C., Miami, and elsewhere (see constant scaremongering threats attributed to US created terror group ISIS). People would be framed for bombings they did not commit (like we saw in the Boston bombing); planes would be hijacked (like MH370). Using phony evidence, all of it would be blamed on Castro (or Putin, Assad and others), thus giving Lemnitzer and his cabal (or NATO western powers) the excuse, as well as the public and international backing, they needed to launch their war (or launch their new world order). As you can see, by replacing just a few names and items to match current day events, it is clear that we may very well be in the middle of another military-political operation heavily resembling Operation Northwood, I'll call it Operation Northwood II. The similarities between the original intent of the operation and the intent we see today are strikingly similar from a strategic point of view. The original intent was to blame Castro for all these crimes in order to rally the world against him to launch justifiable war against Cuba. Similarly, the multi-phased agenda we see today to stage multiple mass shootings domestically to justify gun control while staging ISIS terrorism in the Middle East to justify renewed war in Iraq, and new wars in Syria, follow the same logic, strategy and military tactical mindset. It doesn't take an expert Military strategy analyst to see this connection and similarity. Operation Northwood was thus a deceptive plan to employ fake terror and fake shooting in order to blame an enemy of choice falsely. We saw this with Saddam Hussein in Iraq and with Muammar Gaddafi in Libya. Leaders who were falsely blamed for specific crimes which were then used as a pretext to wage war in their countries destroying their countries, murdering their people then murdering the leaders. Specifically the similarity in the pace and the chaos should be noted. We are seeing a rapid pace of shootings and level of controlled chaos that only matches Operation Northwood description. Life in America naturally hasn't been the same since 9/11 but the madness that unleashed from the time of the Aurora shooting and even dating back before that to the May 1st 2011 Bin Laden death hoax, is striking. Since the Bin Laden death hoax on May 1st 2011 we saw a renewal to the domestic war on terror and renewed talk about the "new" Al Qaeda CEO wanting to bring terror to the U.S.. After a new scaremongering campaign of "See something say something", later that year (2011) we saw the Occupy (semi chaotic) revolution unleash a violent police state, and by the end of the year we saw Obama sign orders for making dissent officially illegal and on December 31st he signed the National Defense Authorization Act (NDAA). So did the chaotic Operation Northwood II actually begin before the June 2012 shooting? Was the Bin Laden death hoax, which came on the heals of the Obama birth certificate fraud, the starting point? Something to consider. Whatever is going on, we can be sure the U.S. military will do everything it can to keep it secret. We need to remain vigilant and continue to expose these events that continue to happen and the obvious agenda that is attached to them. Obvious to those who are awakened and understand history. Let's keep in mind how politics in America works. Let's use history and previous documents and templates for truth. Let's listen to General Wesley Clark when he tells us how the west and its Israeli partners planned to conquer the Middle East. Believe the whistleblowers that are risking their lives to reveal all. Believe your eyes when you see a shooting reported by mainstream media but the victim families are laughing and there are no ambulances scene to take care of the wounded, or blood anywhere. Take note and be mindful of their TV production, staged theater crime scenes with mainstream media narrating to you what is happening. Be mindful that these false flags are happening both domestically and abroad. Look for dead bodies from recent plane crashes or mass shootings but with no blood spots on site. Before you listen or believe anything told to you by mainstream media know what to look for. Know that people are usually distraught when a loved one dies. Blood, when it hits the floor becomes deoxygenated and is not bright red. Know that people have had their legs recently blown off will bleed and lose a lot of blood they will not be comfortably roaming around in wheelchairs. There is a set of rules to life and let us all know what reality looks like and what fakery and lies looks like as well. We all have the rest of our lives to digest and break down the massive list of false flags we've been bombarded with the last few years. Let us analyze, digest, reconcile, expose and declare the truth about these events and let us step back and see the greater picture. A picture that tells us we are smack in the middle of a historic crime spree operation. Buckle up, put on your thinking cap, get your game face on and see if you are ready to tackle this information war in real-time. Now is the time to be courageous and stand for truth. Now is the time to be willing to stand out and call out this current operation for what it is. Only then can we say that we truly have a chance to see tomorrow. Truth is up against lies. Good against evil. Love against hate. They will plan these murderous sprees to try and get their political wishes. We will look to humanity, intuition, integrity, love, consciousness and maybe a miracle, for god to overcome the enemy. Do the best you can and let the chips fall where they may because the thing we are in the middle of seems to not be ending or going away any time soon. Buckle up for safety during Operation Northwood II.